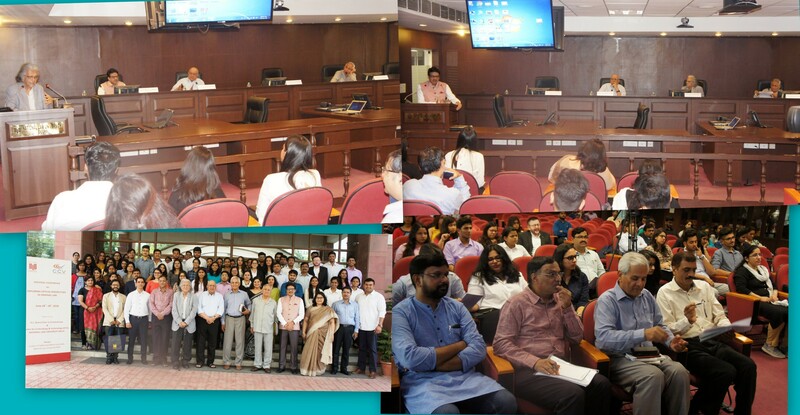 The Centre for Criminology and Victimology, National Law University Delhi organized a National Conference on Exploring Critical Perspectives in Criminal Law, under the aegis of the K.L. Arora Chair in Criminal Law from June 18-19, 2018. The Inaugural session of the conference was held on 18th June 2018, it was graced by the presence of Prof.(Dr.) Upendra Baxi, Distinguished Professor NLU Delhi, Prof.(Dr.) B.B. Pande, Distinguished Professor NLU Delhi, Prof.(Dr.) Ranbir Singh, Vice-Chancellor NLU Delhi and Prof.(Dr.) G.S. Bajpai, Registrar NLU Delhi. The two days conference were divided into Six main technical sessions with each session containing 6 - 7 presentations which involves some prominent speakers namely Prof. S.K.D. Rao, Vice-Chancellor, NLU Orissa, Prof. Ved Kumar, Dean, Faculty of Law, DU, Prof. Rashmi Salpekar, Dean VIPS, Prof. Purvi Pokhariyal, Director Institute of Law, Nirma University, Prof. Debarati Halder, Head, Karnavati University and many more. Institutional Critique and pre-trial critique of Criminal Law. More than 100 participants including students, Research Scholars, academicians and law teachers from reputed institutions across the country and faculty members from NLU Delhi took participation in the Conference. The participants appreciated the sessions, very positive feedback was received from the participants. The program was anchored by Prof. G.S. Bajpai and coordinated by Mr. Sidharth Dahiya, Assistant Registrar (Coordination) & Ms. Pratibha Tandon, Research Associate.